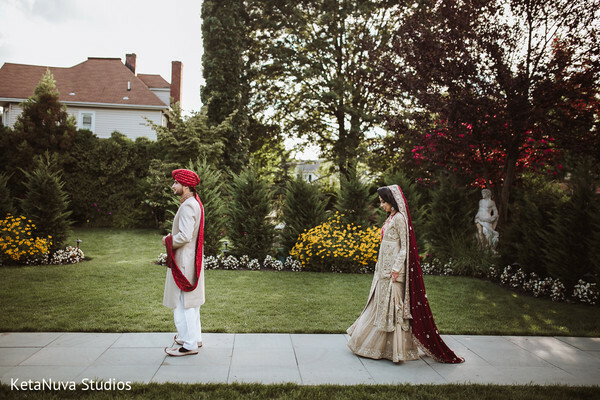 For this darling New Hyde Park, NY couple, a fresh, airy wedding reception was in the cards. 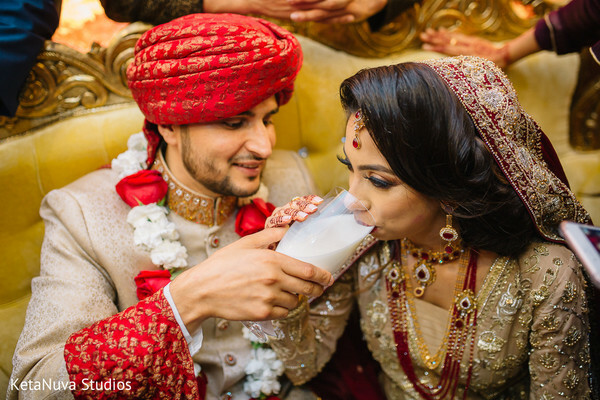 We adore Sumaiya and Zain’s portraits by KetaNuva Photography, which captured the couple’s loving and sophisticated relationship perfectly. 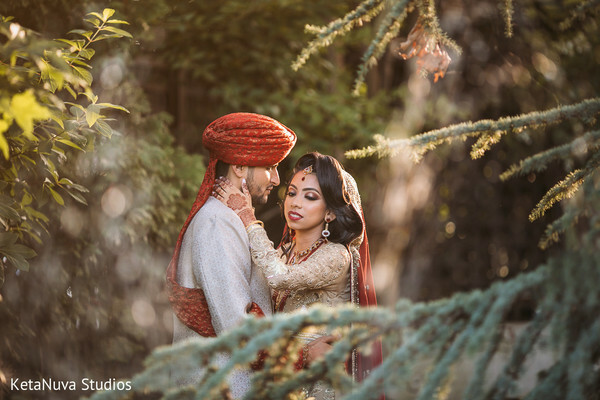 How cute are the emotional first look portraits of this gorg duo? So adorable! 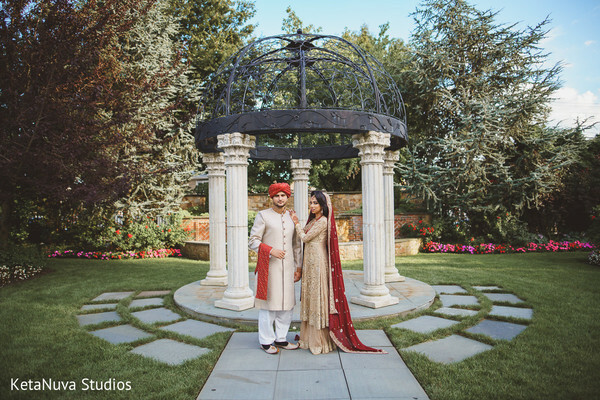 The couple was dressed to the nines, and we’re loving the rich burgundy, champagne, and golden hues of their ensembles. 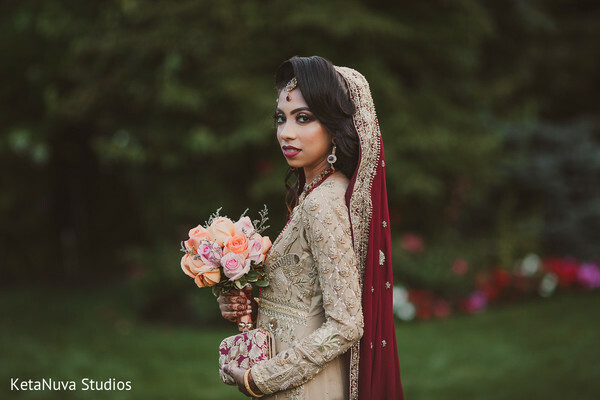 Sumaiya was a radiant goddess in shimmering makeup and voluminous hair by Makeup by Waida. 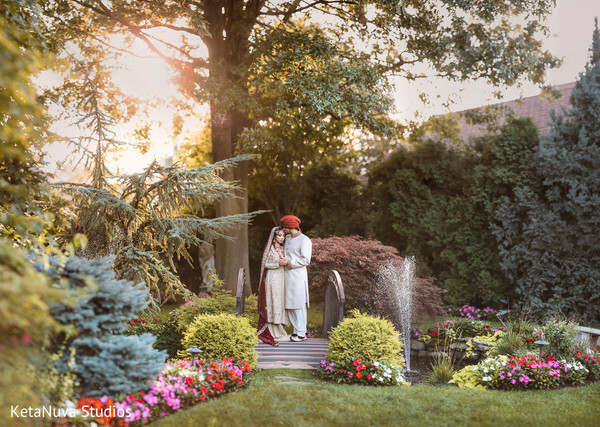 Some of our favorite photos from the weekend were the outdoor shots of the couple framed by gorgeous nature. 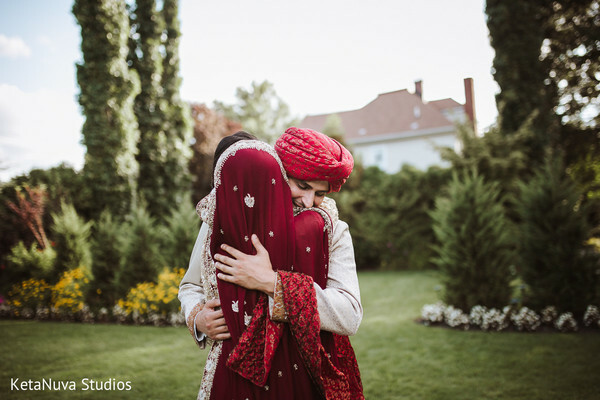 We love wedding portraits for a number of reasons, but especially because when they occur, the couple can relieve themselves temporarily from the hustle and bustle of their wedding and get back to the basics of enjoying each other’s company and reflecting on how much they love each other. Plus, the photos will be timeless keepsakes for years to come. 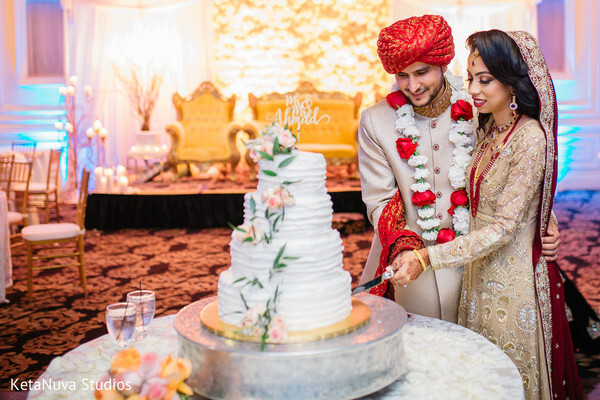 Sumaiya and Zain’s glam wedding reception at The Inn at New Hyde Park was lavishly decorated by Stylish Events and Floral Explosion with decadent golden decor and florals. 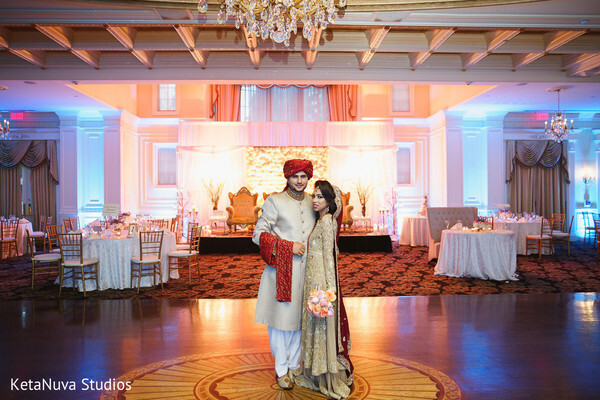 The ambiance was pure royalty, and we can feel the romance buzzing through the air. 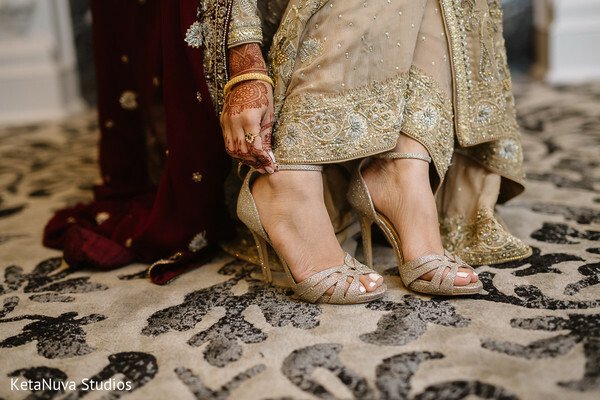 Sumaiya shared some valuable advice with brides to be: “Don't stress about your big day. Things will eventually fall into place. Live in the moment because that time will pass before you know it." Wise words! 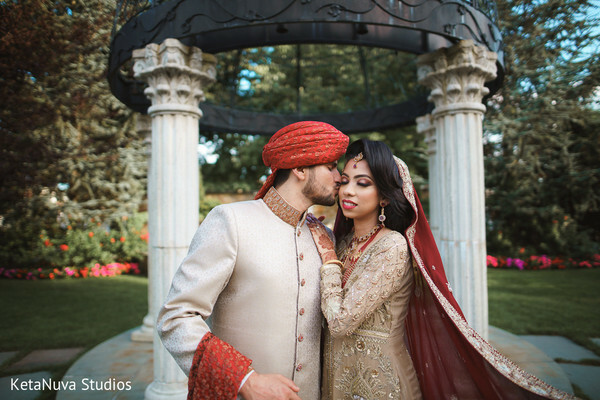 Make sure to peruse the full gallery by KetaNuva Photography. 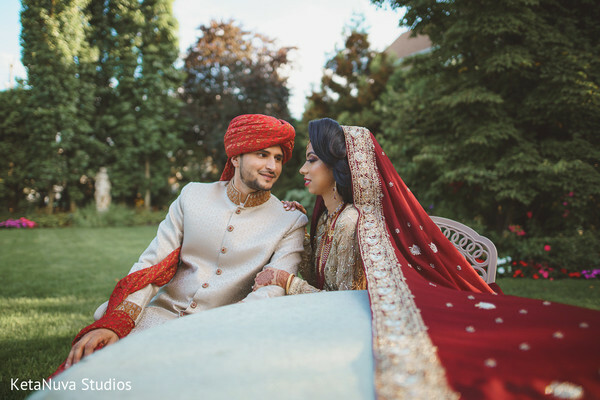 And we hope to share the live wedding footage by Fen Video with you all soon! 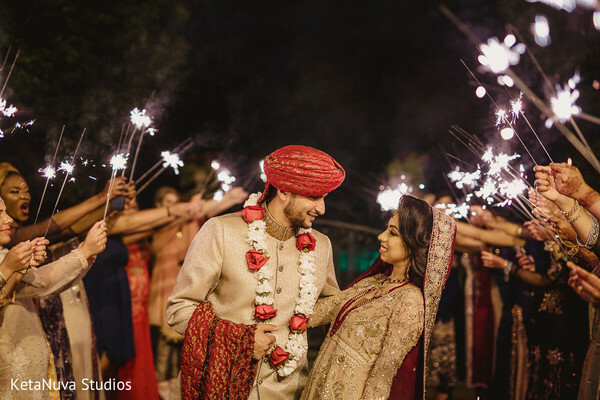 Stylish Events, Fen Video Production and KetaNuva Studios are members of the Platinum Guide. Love what you see? Explore their portfolios.